Winter Head Scarves – Layer it Up! Some women just love their headscarves that they want to wear them all year round! It may be that patterned head scarf that goes so well with your eyes, or that sentimental gift you received. Whatever the case, just because the weather’s turned cooler doesn’t mean you cant wear it anymore. You just need to know how to winterize your current headcovers. One option is to bundle up under the headcover. 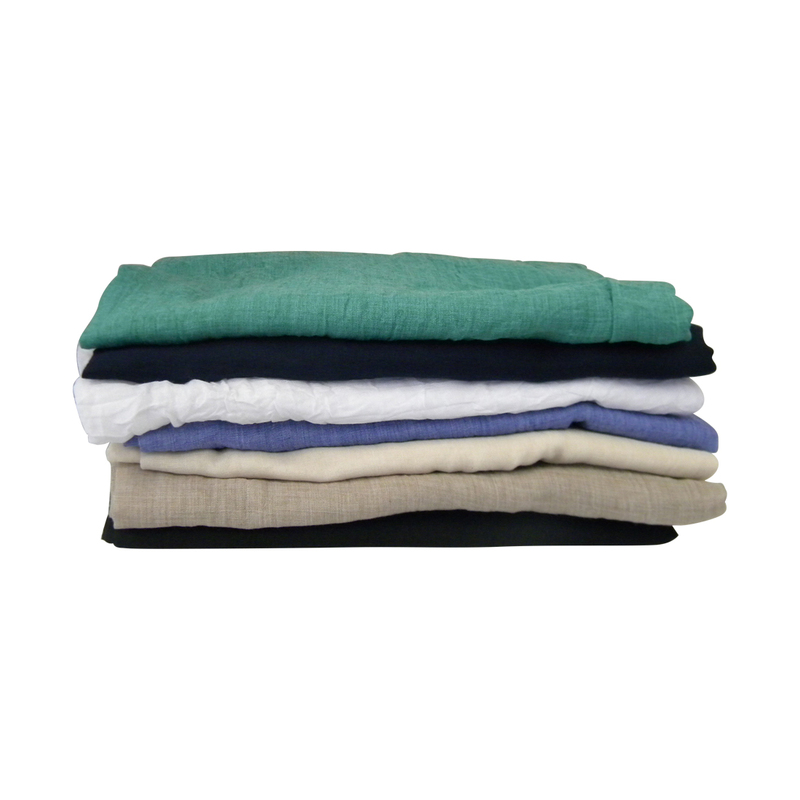 100% cotton undercovers make great scarf liners that will keep the heat in and yet still allow the scalp to breath. They are available in lots of classic colors so you can find one that suits your needs. Another option is to layer different headscarves. You can layer with a solid colored complimentary or contrasting scarf, or if you feel really daring, you can go wild with different prints. Simply put the 2 scarves on your head together as you would regularly tie one. Leave a 1-2 inch space in the front so the bottom layer peeks through. If you leave the tails hanging, this has a really nice fuller effect. or you can twist the ties into each other and then twist them around the back or top as you prefer. 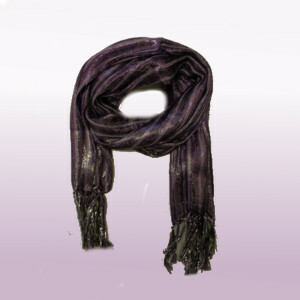 And as the weather gets even colder, you always have the option of adding a 3rd scarf to the mix. So have fun and get creative as you layer your head coverings this winter. The classic turban knot style is a really easy and original way to tie a tichel. It is perfect for hot summer days when you want something light and colorful to hold all your hair back and keep your hair off your neck. It has a great fitted support and makes covering your hair a dream. The best part is that you can design your own tichel! 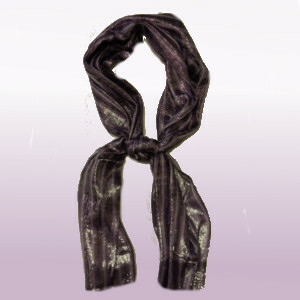 Simply choose a headscarf of your choice with a turban knot head wrap in whichever color you like and you have it. You can go a little darker and simple for a dressy look and loud and colorful for an everyday or funky look. It’s up to you – be original! Place your oblong rectangular head scarf on your head. Take both sides of the headscarf and make a knot at the back of your neck. Place the turban knot head wrap as the band. We used the white turban knot head wrap but you can choose a color of your own. We experimented with our purple oblong tichel with flowers. In the demonstration above we used a hidden height undercover to make it look like there is a head full of hair. You can simply put your hair in a bun, or for those with thin hair or hair loss a hidden height undercover will do the trick. 1. 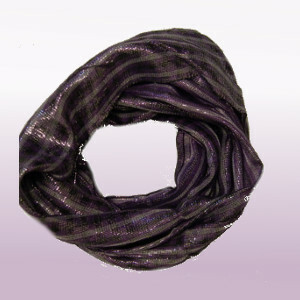 When tying our headscarf in the Classic Turban knot style, we experimented with our Purple Oblong Tichel with Flowers. However, you may use any oblong headscarf of your choice. Start by placing your oblong rectangular headscarf centered on your head. If the head scarf is very long, fold it in half first. 2. Take both sides of the headscarf and make a tie or knot in back of your neck. 3. Now, gently take the whole headscarf that’s hanging down and tuck it in and under the knot you just made. It should look like a snood with no tails hanging down. 4. In the demonstration we chose a white turban knot head wrap. 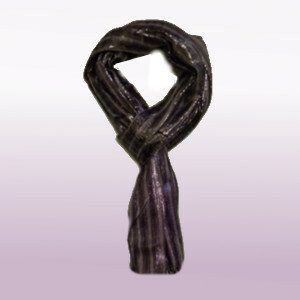 Choose the color turban knot you want and place it as the band to support and hold the head scarf in place. Good luck tying! Click here for more exciting ways to tie a tichel. People undergoing hair loss often complain that even if their head scarf is attractive it is still missing the “look” that a headscarf gives off on someone who has hair because it simply looks flat on the head. Incidentally, this problem is not unique to people with hair loss; women with very thin hair also complain about this. Until now, our main solution for women with this issue who still wished to wear headscarves (which are the lightest headcovering) was either to direct them to out Pre-tied Bandanas with Height section or to send them to our Tichel tying guide to show them some ways to tie their headscarf that would show some height in the front. Well, now we are pleased to offer a new product online that may solve this problem once and for all. The Hidden HEIGHT Undercover. Basically, it’s a light cotton cap with a feather light cushion insert that is worn as an undercover with any headscarf. It’s so light and comfortable that you’ll barely notice that it’s there. At the same time, it adds the “Height” that you are looking for. We must say, at first we brought in a small sampling of these “Hidden HEIGHT Undercovers” to test them out. They sold so quickly and the reviews back were really positive, women simply loved it. So we decided to bring in a larger quantity. Try it out you’ll be amazed at the results.